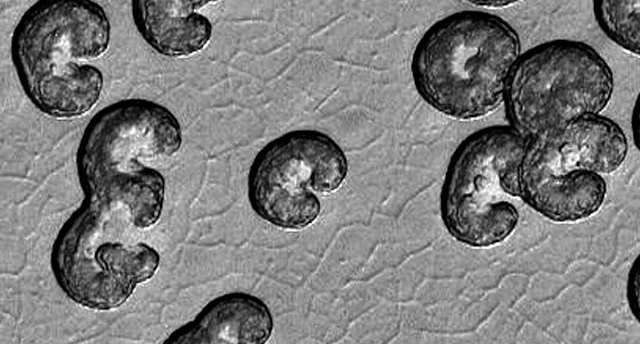 100% Proof That Aliens Lived On Mars Southern Pole, April 5, 2019, UFO Sighting News. Auroras are some of the most dazzling light shows in the world but for the aerospace industry, they can be a real nuisance that could cost billions in damages. According to recent research, northern and southern lights cause satellites to slow down, which brings them closer to Earth. And if the satellites don’t have any more fuel left to boost them back to their intended orbits, they will eventually fall into Earth’s atmosphere. For decades, scientists have been aware that when the sun’s activity is high, orbiting satellites tend to slow down. Auroras are caused by charged particles like electrons that interact with molecules from a planet’s atmosphere or magnetosphere. Scientists suspected that the charged particles also loft pockets of air high enough for satellites to interact with them. The drag caused by the air molecules would then slow the satellites, pulling them closer to Earth. Now, a recent mission has confirmed that this theory is probably true. In 2015, scientists launched the Rocket Experiment for Neutral Upwelling 2 (RENU2) straight into the northern lights in order to understand how solar activity alters the atmosphere. 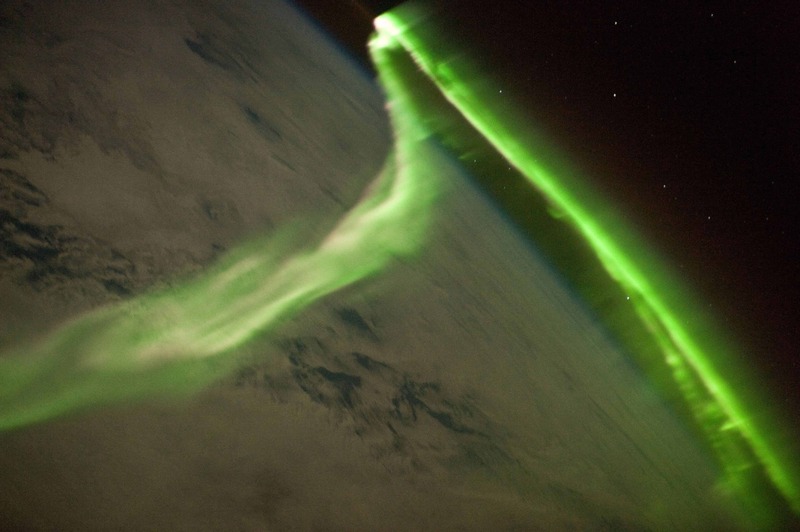 The mission focused on Poleward Moving Auroral Forms (PMAFs), a type of fainter auroras which appear as dancing clouds on dark nights in high latitudes. The reason why PMAFs are o particular interest in this kind of research is that they form higher in the atmosphere and are less energetic than the more common and spectacular auroras. PMAFs dance at about 150 to 250 miles above the surface while most auroras typically form at an altitude of only 60 miles. Researchers at the University of New Hampshire who led the project found that although PMAFs are weaker than most forms of auroras, their energy was still high enough to heat air pockets, causing them to drift upwards. 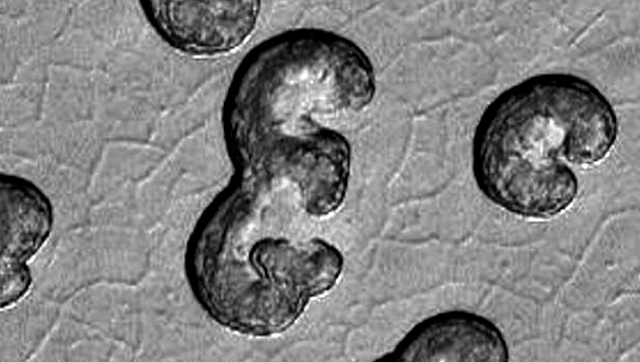 As an analogy, the researchers likened the phenomenon to bubbles rising in a lava lamp. The study also found that the PMAF’s activity isn’t uniform but rather acts in narrow wisps that collectively affect areas larger than ten miles across. PMAFs also ebb and flow, changing their structure within minutes. In the future, this kind of information will help engineers design safer satellites that can remain operational in orbit for longer. The results appeared in the journal Geophysical Research Letters. 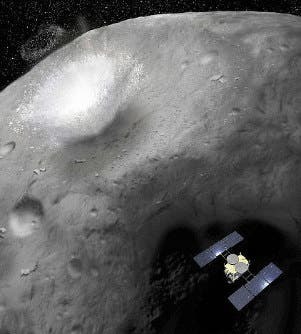 Illustration showing the moment when the Hayabusa2 space probe makes a crater on the asteroid Ryugu. The Japanese space agency (JAXA) denoted an explosive device on the surface of the Ryugu asteroid earlier this month. Now, Japanese scientists have confirmed that the blast created a crater with a diameter of 10 meters — the first artificial crater on an asteroid. The crater was created by the Hayabusa 2 spacecraft which fired an explosives-carrying projectile from 500 meters above the asteroid’s surface. The goal was to discharge material from under the asteroid’s surface in order to probe its chemical composition. 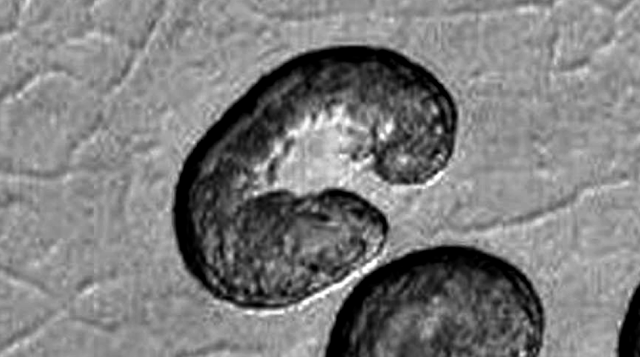 The idea is that this fresh material could shed light on the formation of the early solar system. The asteroid is believed to be made up of organic compounds and water from 4.6 billion year ago. 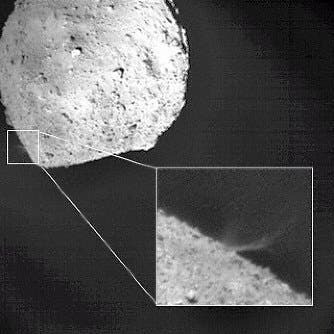 Footage taken by a camera detached from the space probe Hayabusa2 showing rocks on the asteroid Ryugu flying up three seconds after an impactor struck the surface. Earlier this year, the probe fired a bullet into the surface of Ryugu in order to blast dust off the surface. But as the asteroid is constantly bombarded by solar rays which can alter its properties, samples need to be taken from beneath the surface — hence the need for a crater-creating explosion. This time around, the Japanese mission made quite the mess, generating a ten-meter-wide crater. Initially, scientists predicted that the crater would be 3 meters in diameter if the surface is rocky and 10 meters in diameter if it is sandy. At next week’s 2019 Planetary Defense Conference, NASA, ESA, and the International Asteroid Warning Network will stage a “tabletop exercise” of an asteroid flying towards Earth. 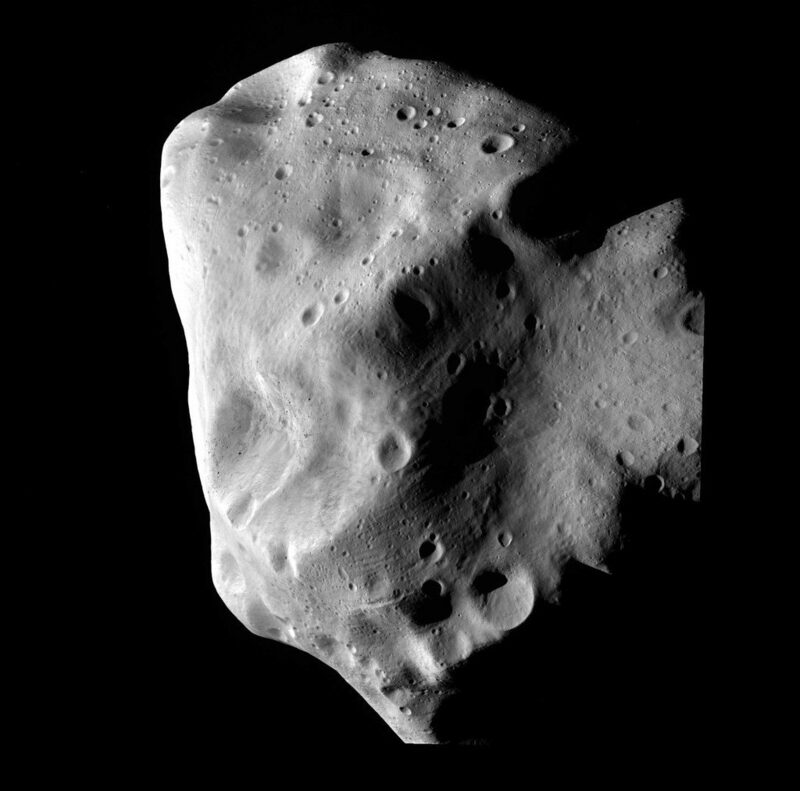 Asteroid Lutetia seen by Rosetta spacecraft. Image credits European Space Agency / Flickr. Media outlets are always abuzz when an asteroid ‘near-misses’ our planet, and it’s easy to see why — there’s just something very exciting about a narrowly evading extinction. However, space agencies and governments around the world take the risk of impact with a near-Earth object (NEO) quite seriously. Given the potential for widespread panic such a scenario poses, any preparations are generally carried out discreetly, out of the public’s view. In the spirit of better communication, however, NASA’s Planetary Defense Coordination Office (PDCO), the European Space Agency’s Space Situational Awareness-NEO Segment and the International Asteroid Warning Network (IAWN) want to make the hazards posed by NEOs clearer for us laymen. Towards that end, they will organize — along with other U.S. agencies and space science institutions around the world — a “tabletop exercise” that will play out a fictional-but-realistic scenario for an asteroid on an impact trajectory with Earth at the conference, NASA announced. The Manicouagan impact crater in Quebec, Canada, is one of many reminders that asteroids have impacted Earth. Although large impacts are rare, it's important to be prepared. That's why NASA, other U.S. agencies and international partners gather periodically to simulate impact scenarios and discuss the best course of action for disaster mitigation. NEOs are bodies such as asteroids or comets that come within 30 million miles (50 million kilometers) of Earth’s orbit. NASA and its international partners have been monitoring NEOs for over two decades now, keeping an eye out for any that might be gunning for Earth. However, preparations for such an impact have very rarely involved the public at large. The proposed exercise aims to address this shortcoming. A tabletop exercise is basically a simulated emergency, used to accustom participants to the possible outcomes of such a disaster and help them see what needs to be done to mount a successful response. NASA plans to have attendees at the conference play out a NEO impact scenario developed by the NASA Jet Propulsion Laboratory’s Center for NEO Studies (CNEOS). This type of exercise was specifically identified as part of the National Near-Earth Object Preparedness Strategy and Action Plan developed over a two-year period and published by the White House in June 2018. They’re not tightly scripted, aiming to let people ‘run wild’ and observe their response in conditions that mirror real life. This can then help us predict how NEO observers, space agency officials, emergency managers, decision-makers, and citizens might respond to an actual impact prediction. Next week’s exercise events will occur over the five days of the conference. The scenario begins with the premise that on March 26th, a potentially-hazardous NEO dubbed 2019 PDC is discovered. After a ‘few months’ of tracking, observers predict that it has a 1% chance of impacting the earth in 2027. A 1% impact chance has been decided upon by the international space community as the threshold for action. Exercise leaders will be briefing participants on the status of the scenario at the end of each day and soliciting response ideas and feedback, based on the latest fictional data. 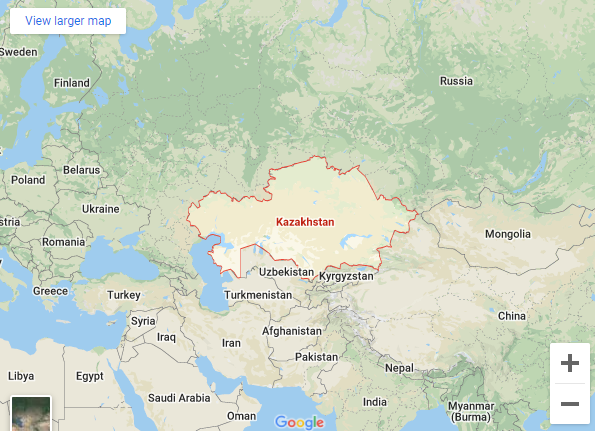 They will be asked to discuss potential preparations for reconnaissance and deflection missions, as well as plans to mitigate the effects of a potential impact. NASA has participated in six NEO impact exercises so far: three at Planetary Defense Conferences (2013, 2015, 2017) and three jointly with the Federal Emergency Management Agency (FEMA). The three NASA-FEMA exercises included representatives of several other federal agencies, including the Departments of Defense and State. Each exercise builds on lessons learned in the previous exercise. These exercises have shown that emergency management officials aren’t focused on the scientific details regarding the asteroid, but on more practical concerns. “What emergency managers want to know is when, where and how an asteroid would impact, and the type and extent of damage that could occur,” said Leviticus Lewis of the Response Operations Division for FEMA. However, NASA is a bit concerned with this approach. It’s those ‘scientific details’ that determine the outcome of an impact. So, while they’re working on developing new methods to determine asteroid characteristics, they also want to engage the public in these tabletop exercises to raise awareness of the hazards posed by NEOs. Piloten kunnen binnenkort officieel en formeel UFO’s melden in de Verenigde Staten. De Amerikaanse marine stelt momenteel nieuwe richtlijnen op en is van plan onverklaarbare waarnemingen te gaan analyseren, om ze te destigmatiseren. De Amerikaanse autoriteiten hebben hiertoe besloten nadat in de afgelopen jaren een aantal onbekende, zeer geavanceerde luchtvaartuigen vlak bij militaire installaties zijn waargenomen. De marine zegt niet dat medewerkers per definitie een buitenaards ruimteschip hebben gezien, maar erkent hiermee wel dat er geregeld vreemde dingen in de lucht worden gezien door getrainde militairen, die bestudeerd moeten worden. Chris Mellon, een voormalige functionaris van het Pentagon, sprak van ‘een ommekeer’. “Op dit moment worden UFO’s behandeld als onregelmatigheden die genegeerd in plaats van bestudeerd moeten worden,” zei hij. “We hebben systemen die deze informatie simpelweg dumpen,” vervolgde hij. Hij merkte op dat militairen vaak niet weten wat ze met de informatie moeten doen. De gegevens worden gedumpt omdat het geen traditionele vliegtuigen of raketten betreft, aldus Mellon. Eind 2017 kwam naar buiten dat het Pentagon in het geheim onderzoek deed naar UFO’s. Er werd onder meer gekeken naar een incident in 2004, waarbij een UFO straaljagers te snel af was. Het onbekende object leek de natuurwetten te tarten. De man die het onderzoek leidde, Luis Elizondo, laakt de manier waarop de overheid hiermee omspringt. “Als je je op een druk vliegveld bevindt en iets ziet wat je niet hoort te zien, dan zou je iets moeten zeggen,” zei hij. “Bij het leger is het precies andersom: als je iets ziet wordt er van je verwacht dat je niets zegt,” vervolgde hij. 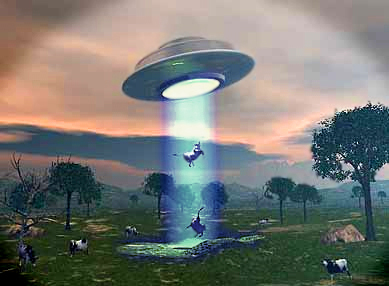 Most stories about UFOs and cattle generally end badly for the cows – death, missing body parts, etc. A cattle rancher in Bolivia says three of his animals have been killed and the rest are alive but terrified – and so is he – after over 20 UFOs paid visits to his ranch and performed aerial operations he feared would be dangerous to his animals. Is he dealing with drone-using cattle rustlers, deadly pranksters, burger-loving space aliens … or something else? Rancher Freddy Rodriguez said in a video interview (Google translated) with a reporter from Notivision that his ranch near Ascensión de Guarayos in the Department of Santa Cruz has been bothered by these UFOs for at least six months. (Watch the video here.) He claims the orbs have dropped down low over his cattle – close enough to illuminate them in the darkness. The video shows the bright UFOs appearing singly and in groups, but it’s not clear if they were observed by the reporter. However, Freddie’s ranch hands claim they’ve seen them as well. They can be seen in the video repairing fences which Rodriguez claims were damaged when the terrified animals ran from the UFOs. While they weren’t mutilated, three of his cattle died from injuries due to the stampeding. Rodriguez agrees with the commenters on the sites uploading the videos that these lights are something other than drones. He says he’s observed them flying over his ranch and cattle from dusk until dawn, descending to the ground, hovering directly over the cattle, ascending and maneuvering around all night long – all the while with their bright lights on. No commercial drones have that kind of long-lasting batteries. There there’s the issue of the UFOs that moved away when his cowboys aimed their guns. If these were drones, they would have to be equipped with night vision and be under the control of multiple human operators. Who has that kind of time and patience … especially considering this has been going on for six months? Local officials say they’ve never seen objects like these hovering, illuminating and then flying away in various directions. While it’s easy to say these are drones, their behavior suggests otherwise. If commercial drones are becoming this sophisticated and powerful, Freddie Rodriguez, cattle ranchers around the world and the rest of us too are in for some serious problems. And we all know that greedy humans are far more dangerous than space aliens … so far. If they’re not drones … what is terrifying and terrorizing Freddie Rodriguez and his cows? A series of documents related to an FBI raid involving Bob Lazar, an alleged former employee at the famous Area 51, appear to confirm events which transpired during the filming of a recent documentary about the controversial scientist. Since the 1990s, Lazar has claimed to have once been employed at a high-security facility at Groom Lake, Nevada, where he observed UFO technologies being developed by the United States. However, past attempts at confirming Lazar’s claims offer little insight about his past employment and education, apart from casting many of his claims in a critical light. A recent documentary, Bob Lazar: Area 51 and Flying Saucers, directed by filmmaker Jeremy Corbell, tells Lazar’s story of alleged government work with flying saucers. While the documentary was being made, Lazar alleged that an FBI raid occurred on his business, United Nuclear Scientific, which some have previously argued could not be proven. However, new documents reveal that the raid did indeed occur, as Lazar claimed, in addition to shedding light on the reason for the FBI’s interest in Lazar and his business. Bob Lazar gained notoriety for claims that he worked for the United States Government on projects aimed at back engineering flying saucers. Timothy McMillan, a Savannah-based civil rights investigator and former law enforcement officer, obtained the documents through a recent Freedom of Information Act Request, which he later posted at his blog. Speaking with McMillan recently, he explained that he was interested in seeing if records were available which lent support to claims made by Lazar in Corbell’s documentary. “In the film, Jeremy depicted an FBI raid that occurred at Lazar’s business, United Nuclear Scientific. In the film it was depicted as a fairly large scale operation, a coordinated effort. “So I fired off a Freedom of Information Act Request to the Lansburg Police Department,” McMillan says. Amazingly, he says they responded to his request within just three business hours. “The document does confirm the portrayal of an FBI raid at Bob Lazar’s business, United Nuclear Scientific, being a large-scale coordinated effort with two-dozen or more law enforcement agents on site,” McMillan says. The documents also indicate that the actual reason for the raid, according to McMillan, had to do with the search for an illegal chemical substance, pertaining to an unrelated investigation that involved a homicide where the victim was believed to have been poisoned. Federal authorities also had obtained a warrant to search Lazar’s business, although the documents state that Lazar willfully allowed them to enter for their search. McMillan, who posted the documents about the raid on his website, redacted the names of those associated with the unrelated homicide investigation. Tim McMillan offers additional details on the incident, which include the files he obtained through FOIA requests at his blog, Chasing the Coyote’s Tail. So while the documents show that the FBI raid did, in fact, occur, we now can confirm that it appears to have had nothing to do Lazar’s ongoing claims about having once worked at the secretive Area 51. While this new information stops short of providing any vindication for Bob Lazar’s more controversial past statements, it will no doubt add to the mystique that Lazar has already maintained now for decades. The Navy isn’t endorsing the idea that its sailors have encountered alien spacecraft — but it also does not want to dismiss strange aerial sightings by credible military personnel. Many recent developments concerning the U.S. Navy suggest that there may be more than meets the eye with much of the Navy’s aerospace and weapons research. In February 2019, Navy hired third-party contractors to destroy all evidence of its top secret laser weapon research, possibly suggesting that they’ve reached a usable design. Just this week, a U.S. Navy patent surfaced online which appears to show an advanced triangular aircraft capable of altering “the fabric of our reality”in order to achieve extreme speeds and maneuverability. Could the patent lend legitimacy to the many sightings of similar aircraft over the years? Now, the U.S. Navy is drafting a new set of protocols for pilots and other personnel who witness “unidentified aircraft.” Does this have anything to do with the many recent revelations concerning the American Armed Forces and what they may know about anomalous aerial phenomena? There have been a number of reports of unauthorized and/or unidentified aircraft entering various military-controlled ranges and designated airspace in recent years. For safety and security concerns, the Navy and the [U.S. Air Force] takes these reports very seriously and investigates each and every report. As part of this effort, the Navy is updating and formalizing the process by which reports of any such suspected incursions can be made to the cognizant authorities. A new message to the fleet that will detail the steps for reporting is in draft. Why would the Navy need to formalize new guidelines for reporting unidentified aircraft unless such occurrences were fairly frequent? Could these types of sightings be more common than has been reported in the past? An incredibly fast and agile “Tic Tac” shaped UFO reportedly stalked the USS Nimitz for two weeks in 2004, easily outrunning the F-18s sent to intercept it. Right now, we have situation in which UFOs and UAPs are treated as anomalies to be ignored rather than anomalies to be explored. We have systems that exclude that information and dump it. In a lot of cases [military personnel] don’t know what to do with that information — like satellite data or a radar that sees something going Mach 3. They will dump [the data] because that is not a traditional aircraft or missile. These new standardized guidelines could be a boon for UFO and UAP researchers – that is, if the subsequent reports are ever allowed to see the light of day. Due to the sensitive nature of these types of incidents, it’s likely that many or even all of them will remain classified for years to prevent adversaries from gaining intelligence about the Navy’s detection and tracking capabilities. 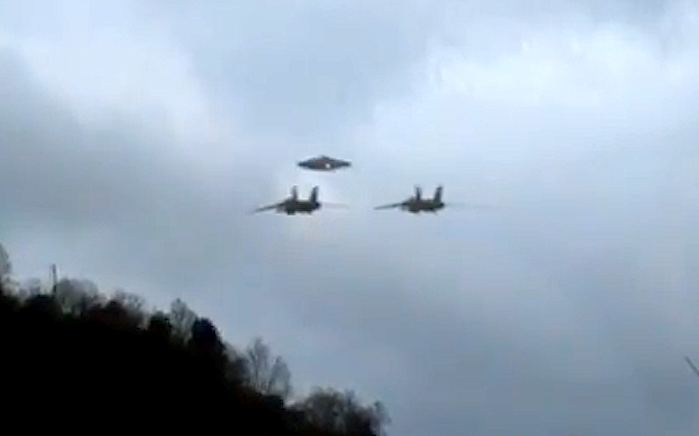 I’ve wondered for a while now if the recent high-profile “disclosures” of military encounters with UFOs aren’t merely a smokescreen designed to mask the truth about anomalous aerial phenomena: that U.S. air power isn’t as superior as it once was. Could there be whole new types of aircraft in the skies we don’t know about? Or could these so-called disclosures be a way for the U.S. military to flaunt new capabilities publicly without being too overt about it? Given that even former U.S. Senator Harry Reid argues that America, China, and Russia are now caught in a “UFO Race,” it’s likely that these new guidelines are geared towards widespread intelligence collection on the state of global aerospace capabilities. If some of the recent alleged disclosures are true, then it appears someone is operating aircraft that can outrun anything the U.S. Air Force possesses. The real question is: who is behind the controls? You’ve got to wonder what aliens think of our primitive space programs. I bet it’s somewhere close to what humans think of dogs wearing sunglasses: “how cute, he thinks he’s people.” Well, maybe that’s not giving us enough credit. It’s probably more like if we discovered a bunch of yellow labs running a little dog factory that made sunglasses. We would need to investigate. Perhaps that’s what’s shown in this footage, recently uncovered from a live stream of the Chinese spacecrafts Tiangong-1 and Shenzhou-8 docking in 2011. Bemused interest and fear that something is getting out of hand. 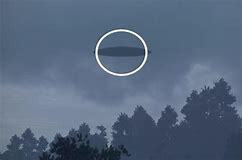 Although the video comes from a 2011 mission, it was uploaded to YouTube on April 13, 2019 by a user named willease and was picked up and circulated by popular UFO channel The Hidden Underbelly. You can watch the footage here. The video is part of a live feed from a mission that had the Shenzhou-8 docking with the Tiangong-1. The clip is from the end of the stream and shows the Shenzhou-8 detaching from Tiangong-1. As the craft floats away, a bright white light can be seen flying past the Shenzhou-8 towards the camera. It then appears to turn around, off camera, and fly back towards the ship. The camera then cuts away immediately to a different angle. We’re up there floating around in ugly metal boxes, while the aliens are rolling around the universe in a non-euclidean ball of condensed probability. There’s a lot of videos of mysterious things on live feeds from space where the camera cuts away immediately after. You would think by now that the powers-that-be would just let the camera keep rolling, as it’s the quick cut that makes it suspicious in the first place. Of course, you can’t let your citizens know that there are aliens up there making fun of your spaceships. There’s a lot of space up there, but there’s also a lot of space trash. Well, let’s not jump to conclusions here. After all, there’s a bunch of junk up in space. There’s essentially a cloud of space trash and ice that’s encircling our planet. Whatever this object is, it’s pretty small and could easily be a piece of ice, or an errant piece of shiny metal space trash. But that doesn’t mean that it’s not suspicious. Could it be that the camera cut away so fast because the live feed almost showed the Shenzhou-8 getting ripped apart by space junk? After all, we can’t give the aliens even more cause to laugh at us. It was late August 1962: Marilyn Monroe had died under controversial circumstances just a few weeks earlier. And, U.S. Intelligence had begun to suspect that the Soviets were secretly transferring nuclear weapons to Cuba – something which, two months later, brought the world to the brink of nuclear war. For a young girl named Anne Leamon, though, life went on as it always had. Just sixteen at the time of her encounter, Anne lived on a farm run by her family in the English county of Somerset. It was a picturesque area: Anne’s bedroom backed right onto the green and inviting Brendon Hills, which, today, are a part of the huge Exmoor National Park. Anne would soon find herself in a strange situation, which revolved around the U.K. military and unidentified aerial phenomena. As the declassified U.K. Royal Air Force documents on Anne’s UFO encounter reveal, she woke up late one evening – for no particular reason she could fathom – and looked straight out of one of the windows. She was confronted by the sight of a circular-shaped light hovering over the hills. It was also changing color: from red to green and then to yellow. Strange rays of light emanated from the light. Anne looked on, utterly transfixed. Quite naturally, Anne’s first assumption was that it had to be a star; although she had never seen a star like this before. It became very apparent the object was no star when it suddenly began to move. She considered that it might have been a helicopter, but that theory was dismissed as a result of the overwhelming silence. Suddenly, the object came towards Anne and, in her own words, she felt “attracted” to it. Almost mesmerized by its flickering lights and rapidly changing colors. It then reversed, moved sideways, and then headed back to the hills. It was as if the display was meant for Anne herself – which was likely the case. For around an hour, the light kept its position above the hilly countryside, finally shooting away and vanishing. This was not the end of things, however. There was far more to come. Anne had an eerie feeling that the light would return to her the following night. It did: but this time, it was well into the early morning hours. Yet again, it glided across the Brendon Hills, stopping outsider her bedroom window. She admitted to becoming “quite friendly” with the light, which she felt was not in any way dangerous, even though she was mystified by its origin and intent. Anne took a very proactive approach and made drawings of the object, even tracking its movements via a compass. And the light came again and again – always well into the early hours of the morning and always approaching Anne’s bedroom. Puzzled but intrigued by her stranger in the night, Anne decided to do something that would ultimately lead to a secret file being opened on her – one which was classified for thirty years. She telephoned a military facility to report what she had seen: Royal Marines Base Chivenor, as it is known today. To this day, the facility remains a vital component of the British Government’s defense network. As interesting as the late night light displays were for Anne, she hardly expected that a senior official in the military would visit her home and interview her at length. After all, it wasn’t as if she was reporting the landing of a UFO, or talking about a face-to-face encounter with bug-eyed aliens. But, that’s exactly what happened: Anne was visited and she became the subject of a large file and the attention of a covert arm of the military. It’s a file now in the public domain at the National Archives. It was late one evening when there was a knock at the front-door. Anne’s mother opened it and was confronted by a man dressed in a black suit – and who had arrived in a black car. He identified himself as a Sergeant J.W. Scott of the Provost and Security Services. Had Anne and her family a good knowledge of the UFO subject at the time, they would surely have believed they were in the presence of one of the dreaded MIB. In a sense, that’s what he was. Notably, such was Sergeant Scott’s determination to see the mysterious light, he visited the Leamon home on at least three occasions; sitting patiently and near-silently in Anne’s bedroom with her and keeping a careful look-out for the object. It was on the third occasion that Sergeant Scott finally saw the UFO – for that is surely what it was: an unidentified light-form in the skies above. Notably, Anne stated that Sergeant Scott quickly grabbed the camera he had brought with him, leaned through the window, and took several photos. The mysterious object was now captured – at least, on film. Anne noted that Scott seemed to deliberately try and play down the matter and did his utmost to avoid sensationalizing what Anne thought was a very exciting development in the matter. For Anne, though, it was practically impossible for her not to be excited: after all, a member of a covert arm of the U.K.’s military was standing in her bedroom, firing off photo after photo of an aerial visitor of the very weird variety. When the object vanished from view, Sergeant Scott got ready to leave; his air of calmness still completely intact: he wasn’t giving away anything. But, he did take something with him: Anne’s drawings and compass notes. Despite promising to return them, Scott never did. He vanished into the night – with all of the available data and documentation – never to be seen again. Before vanishing, though, Scott did suggest to Anne that it would not be a good idea to share the story of her experiences with her school-friends – or, indeed, with anyone else at all, including the media. Anne was mystified by the whole thing. Even more so when, several weeks later, she got a response from the Air Ministry saying that she had seen nothing stranger than a star. Does it really require an operative of the Provost and Security Services – the “007’s” of the Royal Air Force – to spend so much time and effort looking into the movements of a star? One would imagine they had far better things to do with their time, particularly given the fraught, ongoing situation with the Russians and Fidel Castro’s regime on Cuba. It must be said that one of the things which attracted Anne to the object was its movement: it shot around the sky, even coming close to her bedroom window on several occasions. Stars, I probably don’t need to tell you, certainly do not act in such a fashion. Nor do planets. And, nor do aircraft or helicopters, either. We can learn a great deal from this undeniably weird series of events. A young girl has close encounters in the dead of night and in her bedroom. She is soon visited by a Man in Black who visits her on three evenings, catches the object on film, grabs her drawings, and leaves her home with a “friendly warning” not to talk about what she had seen. All of this for a star? Not a chance. Rex, I live near Fresno California. There’s Many UFOS flying around here. I used to see them on a daily basis, but now it’s not so predominate. I have many videos of craft flying at tremendous speeds. NASA has predicted 31 potential dates between 2019 and 2101, on which the asteroid threatens to hit the Earth. The closest impact date, which also happens to be the most likely date of cataclysm, falls on December 28, 2019. A GIANT asteroid measuring more than 4,100ft in diameter risks striking the Earth on December 28, 2019, if it suddenly veers off-course, NASA’s asteroid trackers have warned. The asteroid, dubbed Asteroid 2010 GD37, is next most likely to crash into Earth on December 21, 2093. The asteroid also threatens to hit Earth in December 2022, December 2024 and December 2027. NASA’s terrifying predictions are based on 19 observations made between April 5, 2010, and April 9, 2010.During this brief period of analysis, the US space agency calculated the asteroid’s diameter and mass as well as its barreling speed. According to NASA’s Jet Propulsion Laboratory (JPL), Asteroid GD37 measures roughly 4,137ft (1.261km) across.The asteroid also weighs in at an incredible 2.7 trillion kg or 2,700,000,000,000kg. Because of this, NASA believes the asteroid packs a devastating impact force of 260,000 Megatons (Mt).Just one megaton is the equivalent of 1,000 Kilotons (Kt) or 1,000,000kg of TNT, meaning GD37 could hit Earth with the force of 260,000,000,000kg of TNT. NASA-If an asteroid is indeed going to come very near the Earth then a collision cannot be ruled out early on. For comparison, the nuclear bomb dropped on Hiroshima in 1945, had a blast force between 13Kt to 18Kt or 13,000 to 18,000 tonnes of TNT.And at the point of atmospheric entry, Asteroid GD37 would likely hit the Earth at a velocity of 64,088.225mph(28.65km per second). But what exactly is the risk of Asteroid GD37 striking Earth this year or on any of NASA’s other 30 risk dates? Thankfully, the danger is minimal and will likely remain so unless some force pushes the asteroid out of its orbit and into Earth’s path. On December 28, 2019, there is an impact probability of 0.000000070 percent.This means there is a one in 1,400,000,000 odds of cataclysm or a 99.99999993 percent chance the asteroid will miss. A devastating crash is even less likely to happen on the next most likely impact date in 2093. Asteroids like GD37 are tracked by NASA’s Sentry systems, which keep a watchful eye on all cataclysmic asteroids threatening Earth. The US space agency said: “Sentry is a highly automated collision monitoring system that continually scans the most current asteroid catalogue for possibilities of future impact with Earth over the next 100 years. “The impact probability will tend to grow as the orbit is refined and alternative and safer trajectories are eliminated. As new observations and orbital calculations are made, NASA often removes objects from its list of threats. And the good news is NASA currently knows of no object, which directly threatens the safety of the planet in the foreseeable future. NASA said: “If an asteroid is indeed going to come very near the Earth then a collision cannot be ruled out early on. According to astronomer Lynn Carter of the Smithsonian Institution in Washington DC, it is hard to say exactly how many space rocks pelt the Earth but there are some indicators. Astronomers estimate the average number of meteors and asteroids which hit Earth by calculating how many hit a certain area over the course of one day. Dr Carter said: “Another way to tell how many meteorites hit Earth each year is to look at the number of meteorites found in dry regions where there isn’t much vegetation or erosion, where you expect to be able to find most of the meteorites that fell. 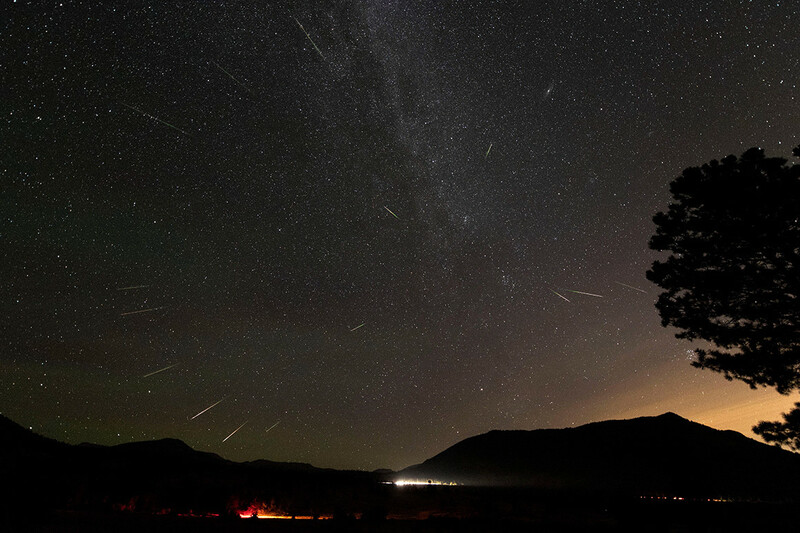 “We can get an estimate of how long ago the meteorite fell to Earth by looking at how it’s been weathered, or altered by Earth’s atmosphere and the local climate. On average, studies suggest between 18,000 and 84,000 meteorites bigger than 10 grams reach the Earth each year. UFOs aren’t so hampered. There isn’t a great deal of in between when it has to do with UFOs. Throughout that time period, there were two triangle UFOs sighted in the very same location. The sighting itself, in spite of the corroborative sightings, is not difficult to dismiss by itself. UFO sightings are now able to easily be captured on video, while it’s through a telephone or video camera. On weekdays it appears that UFO sightings are driven by men and women that are routinely outside daily, rain or shine. According to them, there wasn’t any sighting. The sighting remains unexplained, merely one of many in and about the Quaker State. The sighting came amid several similar sightings in the region in the preceding weeks. Almost thirty individual sightings would be reported as a consequence of the serious-minded appeal to the general public. One perhaps can only imagine how a lot more sightings may be on record in the event the Internet was available for witnesses to log and talk about their encounters. What follows is a mere range of what’s a huge quantity of strange aerial sightings over the uk at the conclusion of the 1970s. 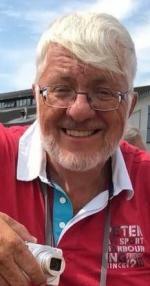 Tony Dodd, among the UK’s leading UFO researchers and investigators at the moment, would be among the first to analyze the incident. The helicopter would circle the area many times, letting the witness to snap several pictures from various angles. While pilots reporting UFOs is nothing new, there now seems to be a feeling of urgency to produce such reports known on the section of the respective witnesses. A number of other pilots have witnessed that same specific thing. Besides that truth, it may even be possible to blind a UFO pilot. Some, however, would examine the incident and realize the unfortunate pair as a convenient if temporary scapegoat. Then explain someone who died in the incident has a fortune in a financial institution and should you help them get the amount from the bank you will find a lot of money. Incidentally, it’s claimed the incident would end in the recovery of a downed disk. A lot of people, including Leverger himself, pondered in the event the incident was some sort of atmospheric incident or possibly a meteor. The strange incidents continued for a number of weeks. Two more incidents occurred in the wee hours of 8th July. Investigation would indicate that the rash wasn’t an answer to something like poison ivy or an allergic reaction. With no fear whatsoever, the witness would step from his vehicle to receive a better look. He would begin to experience severe problems with his eyes. The witnesses weren’t clear in the event the craft had sped away or in the event the lights had simply gone out. There are also a number of witnesses. Additional a lot of other witnesses would back-up the 2 officers’ sighting. 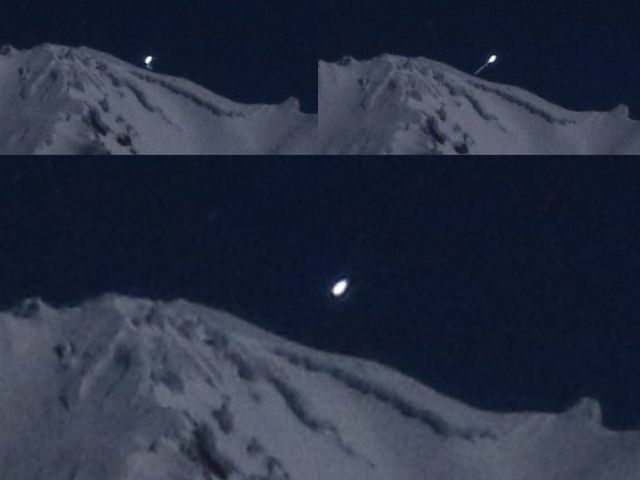 The footage is a bit shaky on account of the simple fact the witness had to use full-zoom to concentrate on the craft. The footage below, however, is extremely much worth watching, if simply to provide a feel for what people around the world, but in particular the usa, claim they’re seeing increasingly in the skies above them. What earns the video footage even more credible is there is footage taken by different folks in various areas of town. 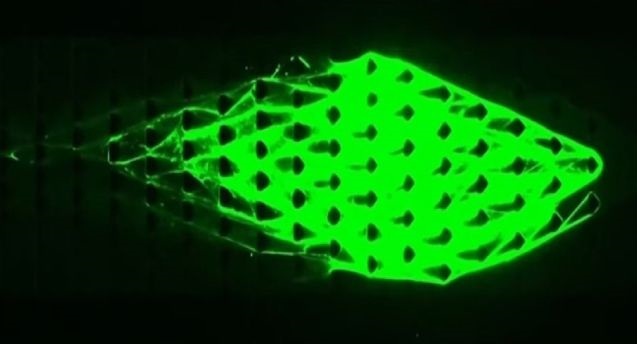 Using DASH, the Cornell engineers created a biomaterial that can autonomously emerge from its nanoscale building blocks and arrange itself – first into polymers and eventually mesoscale shapes, reports news.cornell.edu. RT America’s Trinity Chavez reports on the breakthrough. The unknown doesn’t tend to stay unknown. After all, there are quite a few very smart people out there, constantly endeavoring to document and understand our world and its mysteries. Often, they’re the ones to turn to when something seems inexplicable. We rely on experts for answers, but sometimes, they’re as baffled as we are when strange phenomena are encountered. Whether they’re objects or events, such phenomena remain puzzling until they’re identified and understood, if they ever are. When visiting my mom in Mt. Shasta on 4/17/19, I was out late looking to take a night-time picture of Mt. Shasta. 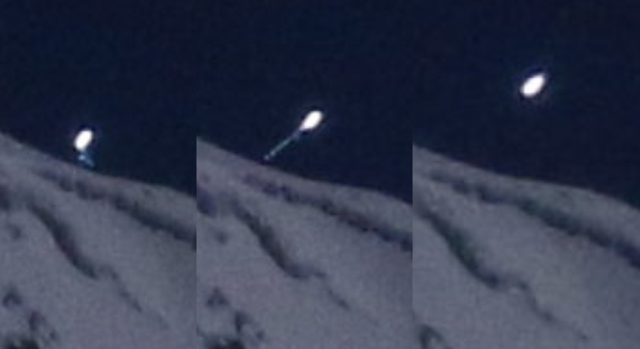 My son and I were curious to see if we could get pictures of it the next night on 4/18/19 and around the same time, we were able to get even more shots that have baffled us of this "star" or whatever it is because of the strange lights and trails that we captured around it. Mufon case 99821. 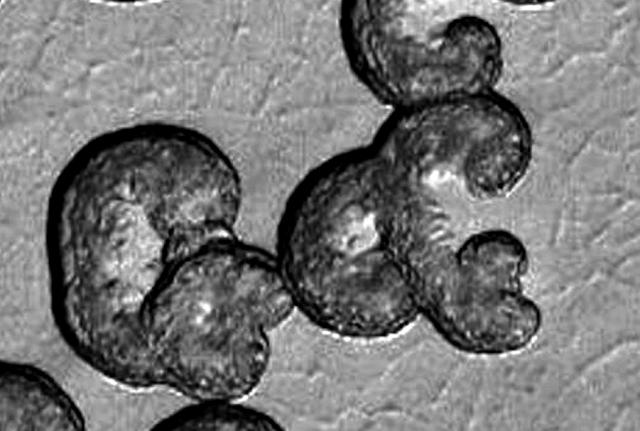 100% Proof That Aliens Lived On Mars Southern Pole, April 25, 2019, UFO Sighting News. I found some really amazing structures in the southern part of Mars. The structures appear to be above the ground tunnel like...almost as if a dome was stretched out. One of the structures is in the shape of a capital E. This must be a structure in the shape of alien writing. The word might have a religious or cultural meaning. 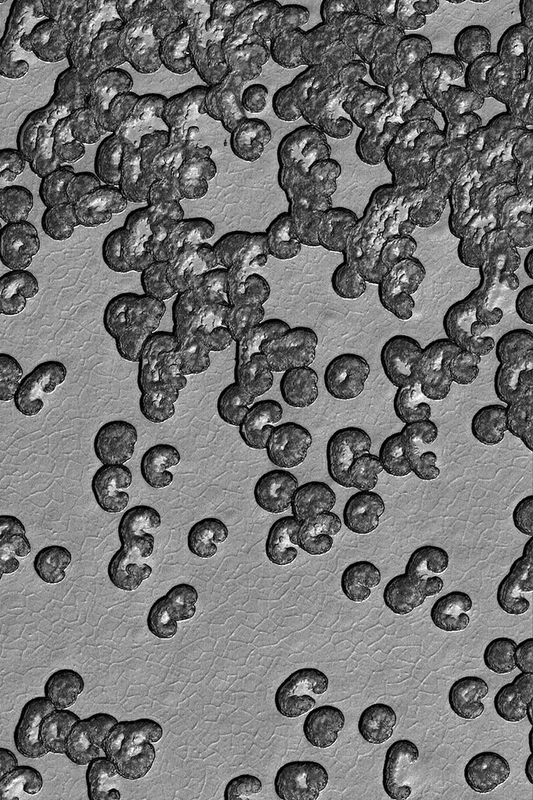 NASA tries to explain the formations as carbon dioxide freezing and creating these structures, but we all know that NASA cannot be trusted to tell us the truth. The structures do appear ancient, but are still in extraordinary condition and might be a good location for a future Mars base one day since the structures are already completed. This really interesting footage of a bright disc-shaped UFO was filmed over Palms Springs, CA on 24th April 2019. I saw bright disc shaped object and pulled out my phone and filmed for a minute or so. I was driving in the Palm Springs area around 12:30pm and caught something out of the corner of my eye. I decided to turn around to see I could get a better look at a disc shaped object. I pulled over on side of the road and took a quick video with my phone. This bright unidentified flying object was caught on tape over Holtwood, Pennsylvania on 21st April 2019. Glowing orb that ascended very quickly, changed direction and shape from a glowing pulsating orb, to a dark grey reflective triangle. My boyfriend and I were having a small bonfire and were sitting facing south toward the river and noticed a strange fast moving red/orange orb coming up the horizon behind the trees, we got out our cell phone and recorded this orb and as it flew overhead. It pulsated a red, orange glow. it changed direction from south to west and seemed to change shape as it flew into the clouds. It also seemed to turn off its lights and then it was a dark grey black triangle that reflected the clouds and was semi-transparent. We recorded this, but its hard to see where it flew into the clouds. A former military intelligence official has made a shocking claim regarding mysterious materials possibly from crashed alien spacecraft. Luis Elizondo said the American government has stored “metamaterials” perhaps from extraterrestrial spaceships in a specially modified warehouse in Las Vegas. Elizondo, who was a former head of the secret Advanced Aerospace Threat Identification Program (AATIP) of the US Defense Intelligence Agency claimed that aerospace billionaire Robert Bigelow run the warehouse, which is under armed guard and secured with concrete and barbed wire. Luis Elizondo explained that the “metamaterials” are composites which don’t occur naturally. He said that we don’t have the technical capacity to reproduce such materials with precision. Elizondo headed the American government investigation into UFOs that shut down in 2012. The Pentagon had spent multi-million dollars for the UFO investigation. The secret project amassed information on other aircraft which seemed to move extremely fast without having any visible form of propulsion. Elizondo said that other craft appeared to hover without rotor blades. A video of an encounter between an oval-shaped object without exhaust, wings or tail and an F/A-18 Super Hornet fighter jet was later released to illustrate such sightings investigated by the AATIP. Most of the investigations were contracted out to Bigelow Aerospace, whose founder once told in a TV interview that he believes aliens are real and that UFOs have visited Earth.